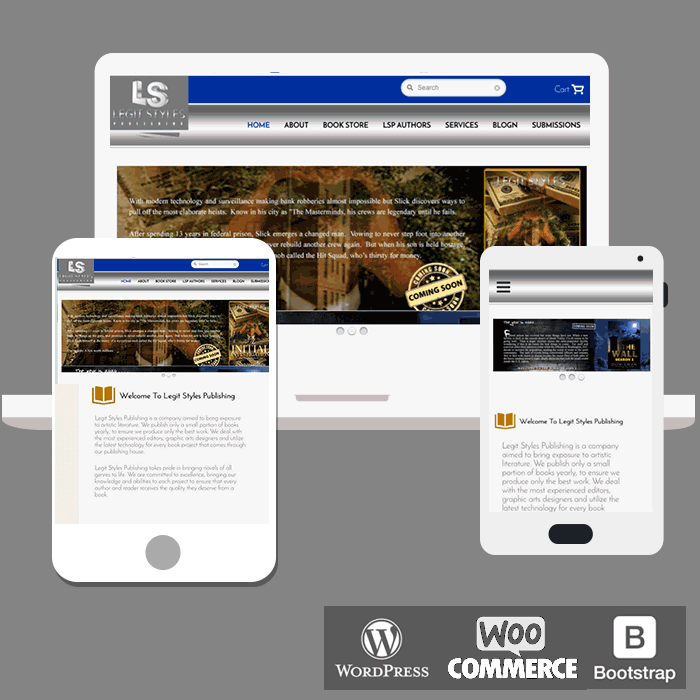 Legit Style Book Publishing website design using WordPress, Woocommerce and Bootstrap. We design the layout using a mobile first process and technology Bootstrap. Design custom site layout developed a WordPress theme, identity, re-designed the website to fit the keywords.